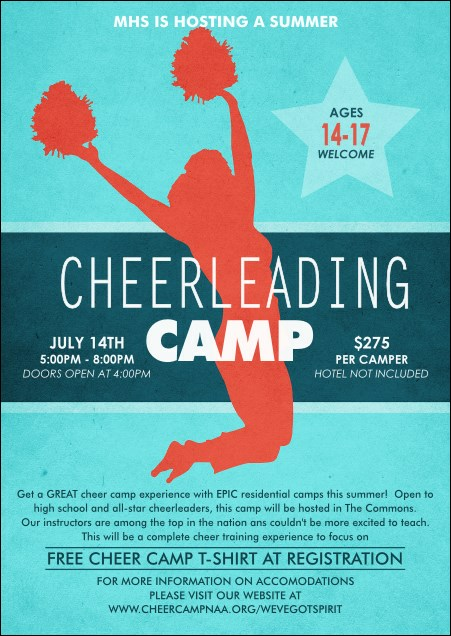 Build up your pre-event advertising base with pretty, personalized Cheerleading Jump Postcards. With a brilliant blue background and dark blue stripe in the center, and a bold red cheerleader in mid-jump holding pom poms and cheering for her team, these Postcard templates will help carry you to number one. Tumble your way to great advertising at TicketPrinting.com.